Give your outgoing mail the laidback look popularized by West Coast surfer style when you use these attractive return address labels! A sloping pattern in four different color combinations weaves together a graceful yet cutting edge feel for your letters and packages. Stylized Wave Address Labels from CheckAdvantage help make your life just a little bit easier. The everyday task of filling out envelopes is a snap thanks to the self-adhesive backing. 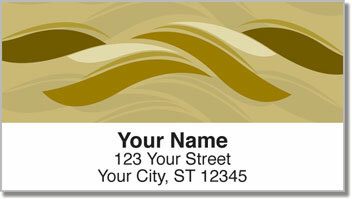 You can also use these labels to mark all sorts of items with your name and address. Just stick them on! 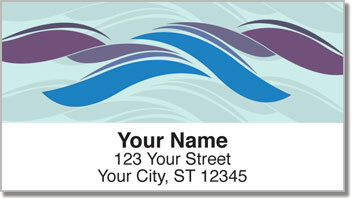 Order your own Stylized Wave Address Labels today! 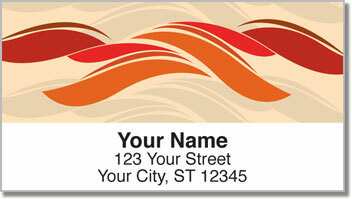 Don't forget to take a look at the matching personal check design!